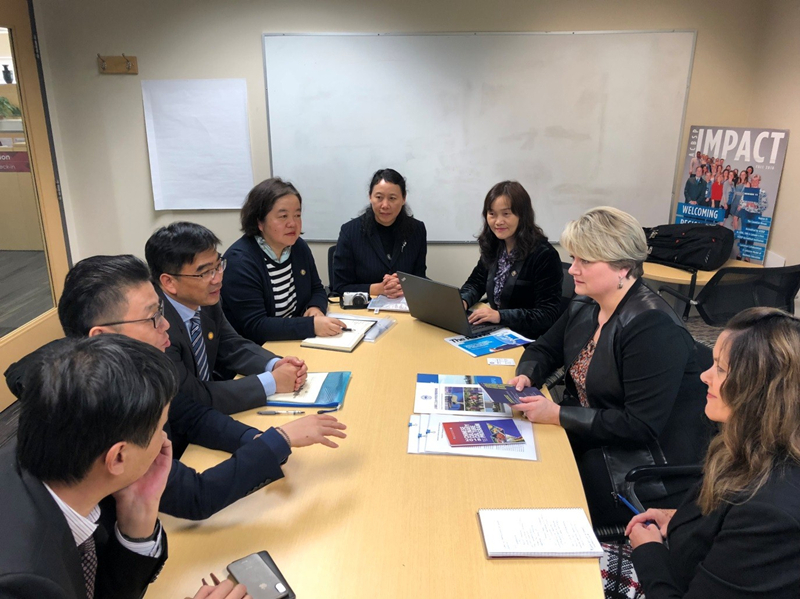 Delegation headed by Wu Peidong, Deputy Secretary of SSPU Party Committee, visited Kwantlen Polytechnic University (KPU) in Canada and Weber State University (WSU) in the US. Kwantlen Polytechnic University, targeting the cultivation of applied talents with sufficient practical ability, shares similar orientation and talent training goal with SSPU. The delegation had a meeting with Carole St. Laurent, KPU Vice President, Deborah Carmichael, Director of Global Engagement, and Stephanie Howes, Interim Dean of School of Business, and visited the three campuses of the university. On the meeting, both sides expressed the intention of in-depth exchange and cooperation. A consensus has been reached in terms of signing of Memorandum of Understanding and cooperative programs and fields. 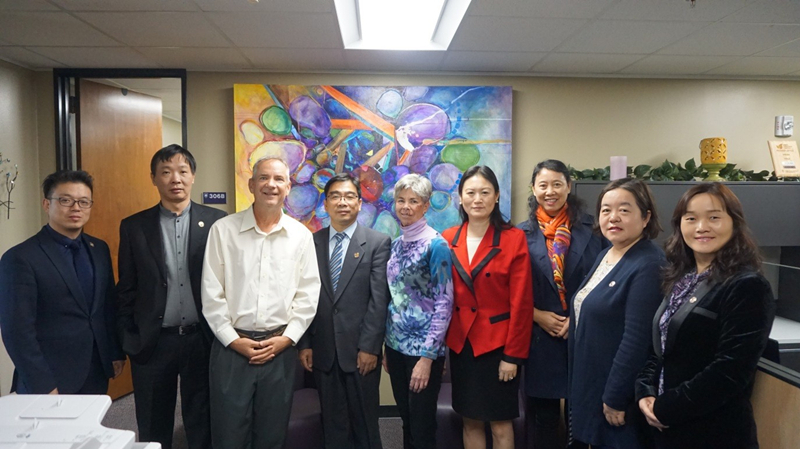 During the visit to Weber State University, the delegation met with Provost Madonne Miner, Vice President Cliff Nowell, and Ouyang Wen, Senior Administrative Director of Global Affairs. The two sides discussed about the cooperation regarding joint research, teacher and student exchange, etc. After the meeting, the delegation visited College of Engineering, Applied Science & Technology, Goddard School of Business & Economics,and Lindquist College of Arts & Humanities, and shared views on student and teacher exchanges with heads of these colleges. The two universities have already signed the Memorandum of Understanding this January.